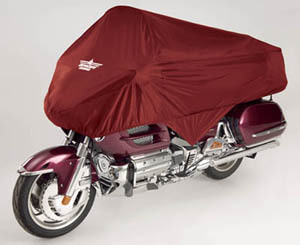 REG-472BC/CB/AB: Similar to above but for Electra Glide Ultra or Road Glide Ultra. 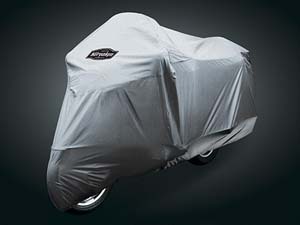 FC-1B: Premium full cover designed with the touring riders in mind, our new cover is loaded with features. 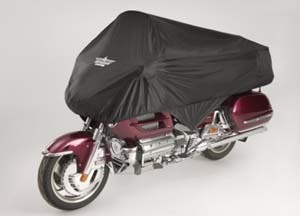 Designed for the Electra Glide, our cover is loaded with features and cut generously enough to accommodate the touring platform. 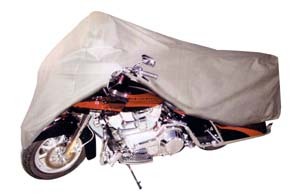 A soft fabric liner protects your windshield and fairing from abrasion. The bottom panels are heat/scorch resistant so you can cover you bike while it is still warm. An elastic hem coupled with reinforced grommets and shock cords make this cover fit like a glove. Comes with storage pouch. 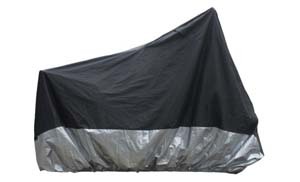 HC-1B: Premium black half cover is lightweight, compact and packed with features. 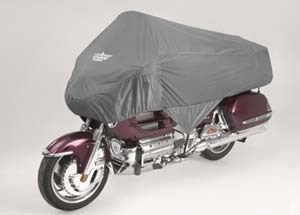 A soft lining provides windshield protection, an elastic hem helps the cover fit snugly, and reinforced grommets with shock cords provides additional security. 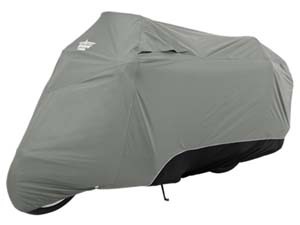 This cover is ideal for use as a dust cover when your bike is stored in the garage or to offer protection from sun, rain, dust and dirt. 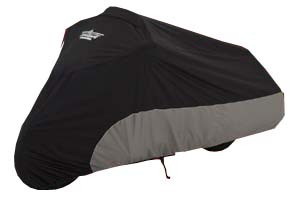 A handy storage ouch makes it easy to stow your cover in your saddlebag or trunk. Comes with storage pouch. 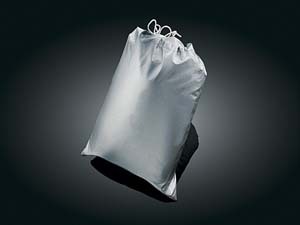 HC-1S: Also available in silver. FC Regular Full Covers: Exceptional value without compromising the features. Great value and without compromising on quality, fitment or style. Double stictched, four fold interlocking seams to provide the best durability and water tight closure. 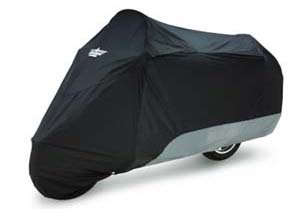 FC Regular Cruiser Covers: Similar features to above but in cruiser cover size. FC Regular Half Covers: Similar features to above but in half cover size. 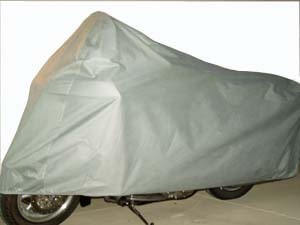 FC Economical Cover: Similar to above covers but without the heat shield. 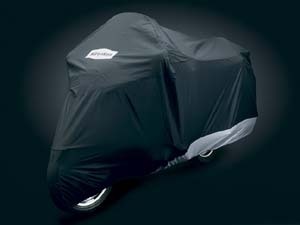 MC-R1: Motorcycle Rain Cover. Fits as follows: Roadking, Electra Glide, Heritage, FLH Standard (without tourbox), FXSTC (with large shield), Fatboy with shield and bags. 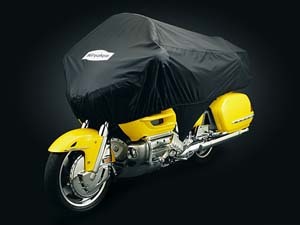 Motorcycle Water Resistant Rain Cover. 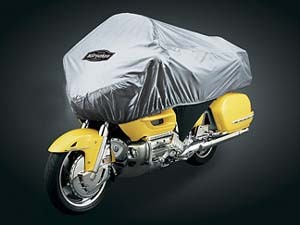 MC-R2: Motorcycle Rain Cover. Fits as follows: FLH FLT King, Electra Glide with tourpack, Valkyrie, Nomad, Indian Chief Drifter, Intruder LC & V-Stars (all with or without windshields). 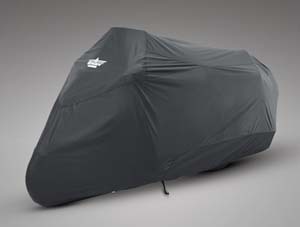 Motorcycle Water Resistant Rain Cover. MC-1: Your bike can collect dust at home in the garage. Outside and on tour your bike can pick up dirt and grime, fading from the sun, not to mention getting wet. 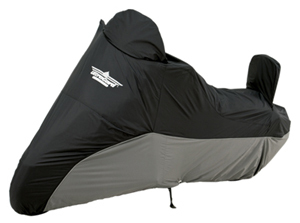 The MC-1 is very light weight and easy to handle and can protect your bike in all situations. The cover comes complete with sewn in elastic at the bottom for a nice fit. Double stitched for strength and durability. 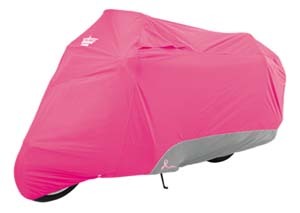 Also great to cover your bike and guard against potential theft. 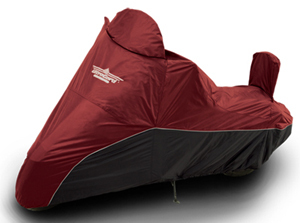 Dimensions: 96"X27"X52" Fits all Electra Glides, Road Glides and Road Kings with or without Tour-Pak. Comes with storage pouch. MC-1G: Same MC-1 but also includes two antenna grommets with simple install procedure to accommodate either one or two AM/FM antennas. 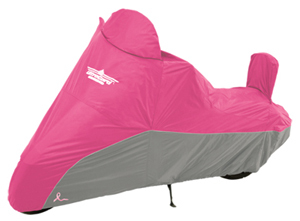 This feature makes it easy to cover Electra Glides or Road Glides with radio and CB antennas. Available upon request. 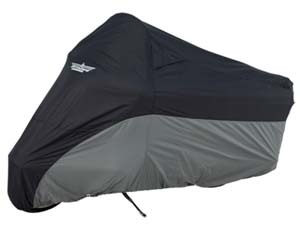 No more bending or removing antennas when covering your bike. Comes with storage pouch. GRT-AMFM: Grommet that can be added for one AM/FM antenna or small similar diameter CB shorty antenna. Installation note provided. Covers with grommet(s) are not returnable. GRT-CB: Same as above for early model year large CB antenna w/coil. Covers with grommet(s) are not returnable.